I can't believe it has been about 2 months since I got this board. In the past week, I have finally had a chance to ride. I had been reading about these and it struck a cord with me. 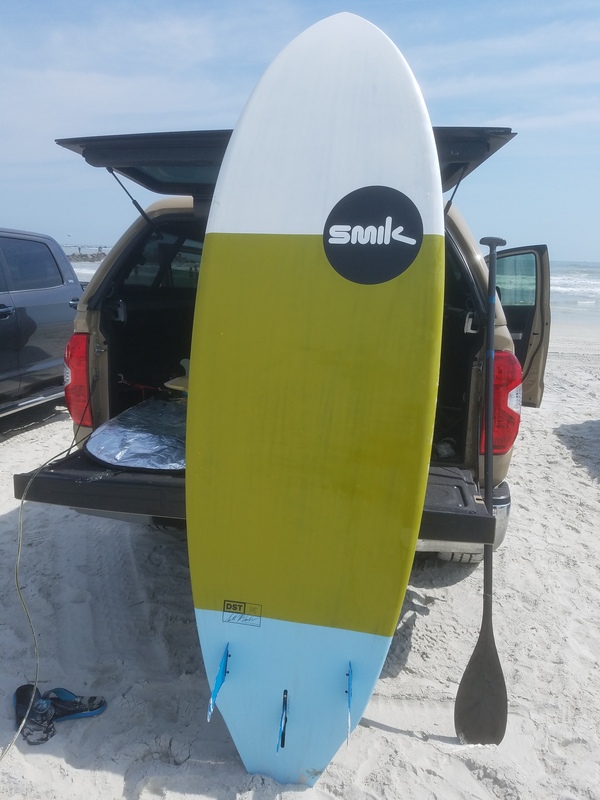 I have a regular VonSol shadow 7'0" fish that was a blast riding with 2 big twins and a small trailer. I could not believe how loose it was and easy to throw around. So here is the Smik hipster twin that had the actual research in to making it a dedicated twin. I decided to support my habit by getting one. Mr Big was a great help in talking with Scott wo shapes them. Decided to go with the 8'3" x 331" by 123L version. 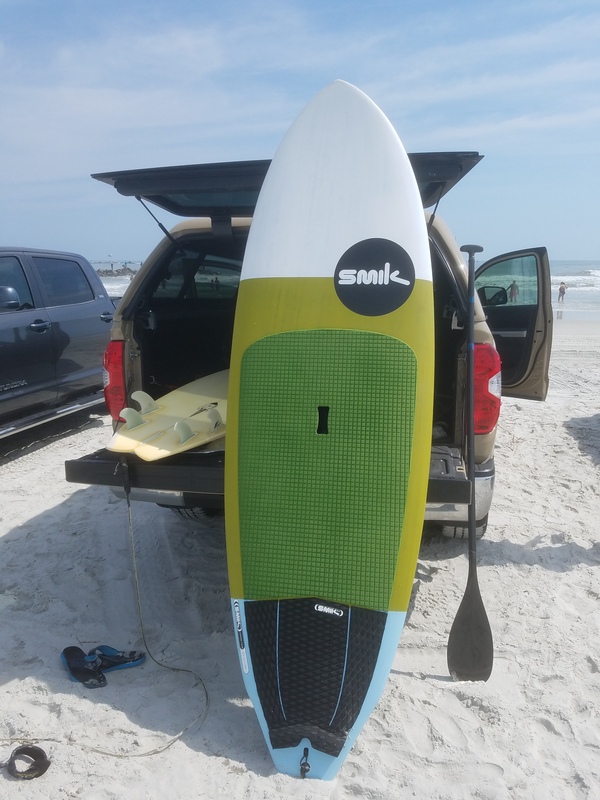 I wanted a tad additional float for dealing with the softer waves in Florida. 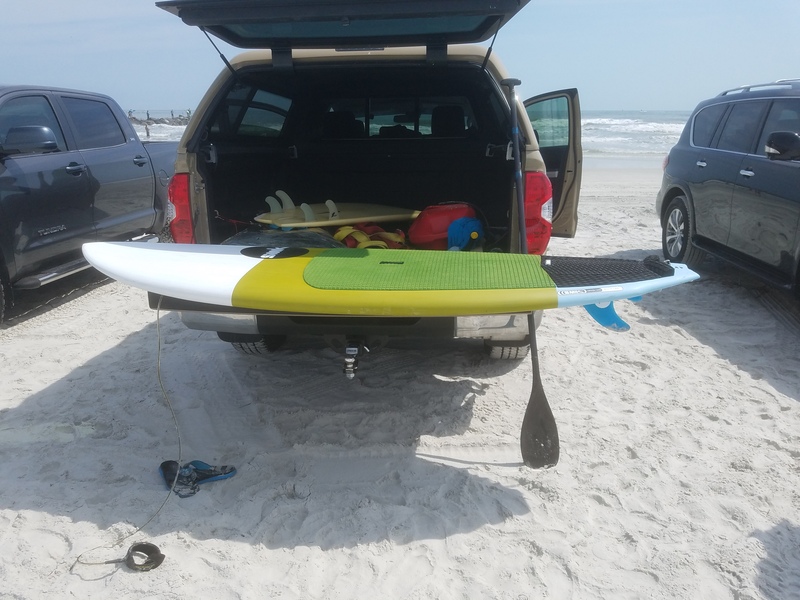 Board came with 2 big twin fins and a trailer. Good quality fins. I was able to get a T-shirt with it too. Scott was great to deal with. Finally was able to not be at work when there was some surf. So my stats for reference, 5'10" and 192 lbs (178cm and 87 kg). First session out was basically wind chop/ semi wind swell. Not great conditions but I wanted to try it. Waves were not that good. Got a couple of drops in the chest to slightly overhead range. Once I got the foot placement down. Had to stand a little more forward while standing around. Once on a wave, and you get back on the tail and this board is just FUN! Beautiful mate, you're gonna have some fun on that! Hey Scotty, where's my t-shirt?! Nice board, that's the shape and size I've been craving . 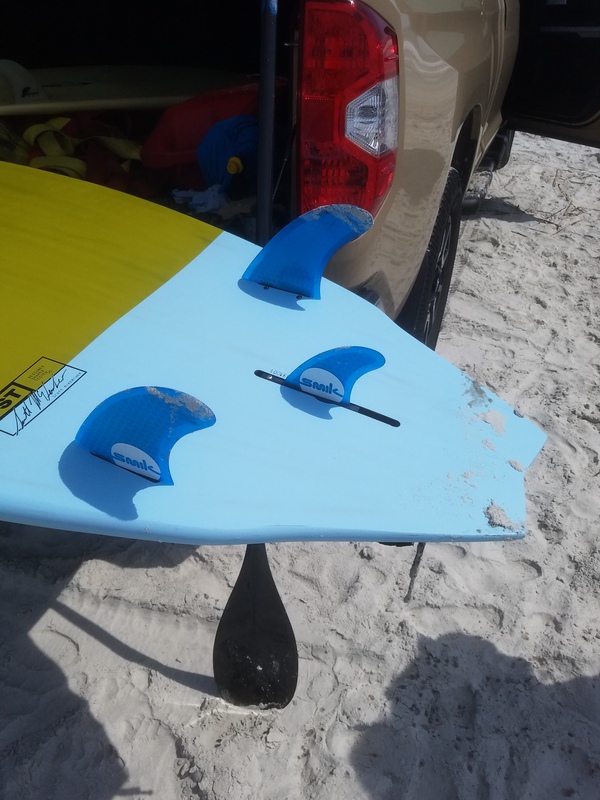 Nice board ninjatuna, I like to try twin with trailer fin on my jl super frank.